Three Pipe Problem: Vicki Leon interviews 3PP! I often receive feedback and email about 3PP - many people simply curious about me or my site's role and function. I am equally thrilled I get to jump around to whatever topics happen to interest me. I think this is an important part of me that is reflected in 3PP, and embraced by the flexible nature of online publishing. To help tease this out a bit further, I have invited Vicki Leon, author of How to Mellify A Corpse and the Uppity Women Series give me the Q&A treatment. Since her interview in July this year, Vicki has become a valued friend and behind the scenes helper at 3PP. I was hence delighted when Vicki agreed to be my interviewer. I hope you have as much fun reading it as we did creating it. Hopefully you will get a giggle or two - that's the best I can hope for! Before we start, take a few seconds to familiarise yourself with the moment that inspired the name of this blog. 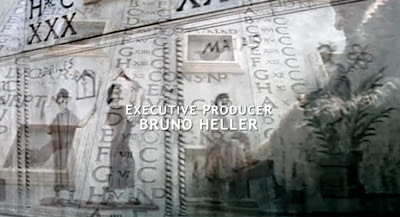 Like many trained in the scientific method, I can point to my exposure to Sherlock Holmes as a formative experience. The Granada TV series in the 1980s was particularly memorable - with the portrayal of Holmes by Jeremy Brett being hailed by many as absolutely definitive. I agree! VL: What first ignited your curiosity and interest in the history of art? HN: I can think of three germinal incidents. The first was at age five. Someone had given my parents a gaudy replica antique telephone. It had a picture of the Mona Lisa on the dial. I asked my mum who it was, and her response was "that is the Mona Lisa, the most famous painting in the world." Even at that age, I was instantly intrigued. What made this better than any of the other nice pictures? 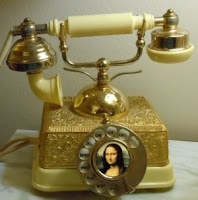 Reconstruction: This isn't the actual phone we had, but it looked very similar to this! The second was a few years later, at age 9. I call it my excalibur moment! One day, when returning home from school, on the ground in front of my house was Erwin Panofsky's Meaning in the Visual Arts. It was quite battered and a bit dirty, but intact inside. I spent many years reading that book - but at the start was mainly fascinated by the pictures in it. 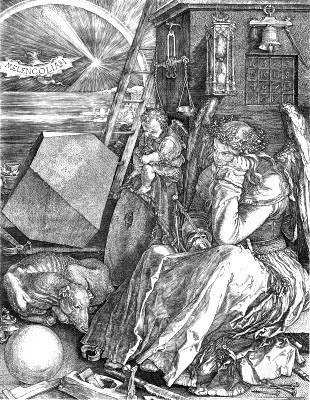 Albrecht Dürers Melancolia I was an image that stood out in my mind - what did all those symbols and numbers mean? Panofsky told me! I think it is important to note my study of this painting was prompted by a TV documentary rather than anything I read in class! Twenty years on I still seem to get more inspiration from art and history programs from people like Andrew Graham-Dixon, Bettany Hughes, Waldemar Januszczak and Simon Schama. TV is a visual medium - and so is art - I find little suprise that they work so well together, and speak to millions more than the latest effort from some lofty art scholar with little interest in speaking to the average person. VL: What is the event or catalyst that motivated you to begin blogging? HN: This is quite easy! I have been online for about 10 years. The first 9 of these years were spent learning about tech. Eventually I started writing guides and articles about aspects of tech I am interested in. As the years went on, I think I started to become restless and would end up mentioning art history in the strangest of places. My sometimes direct manner got me in trouble and eventually, the owner of a site I heavily contributed to (named Mike) suggested I was bored and should pursue something more challenging. He was right! It was right at this time I was watching Waldemar Januszczak's Every Painting Tells A Story. After watching the episode on The Birth of Venus, his engaging style gave me that final push as to what my new challenge was. Hence, fans of 3PP, you can thank Mike and Waldemar for this place existing! Neither of them likely know nor care - which I don't mind either! 3PP means a lot to me, and that is all that matters. VL: Can you tell us something about your learning background? HN: I was extremely fortunate to go to a decent high school. The area I lived in was known more for its unemployment and crime, so my parents wanted to make sure I had a decent chance of breaking free from this via education. To my delight, from the very first year, we studied history, art history, and comparative religion. By the time I finished high school I had studied art history for four years, and did two years of specialist subjects on Renaissance history. To the horror of my humanities teachers, I decided to pursue a career in sciences, so only revisited art history briefly in university when I did some extra subjects(where I learnt little else than what I had in high school). My career took over after then. 3PP was my next serious foray into art and history. There was of course plenty of reading in the 17 year interim. I am a layperson, but it seems there are a lot of non art historians writing about art history, so I don't feel terribly alone! In fact because of my background, I think I have a better chance at connecting different elements of the online community than a professional art historian does. I know how the web works and I'm good at listening to feedback and actioning things. These are the keys to success in an online context. VL: What wellspring do you draw from that helped you create your blog's dynamic interplay of images, videos, teaser click-throughs, and text? HN: I just allow the ideas to come and develop of their own accord. I think they are truly organic entities. My numbering system for your Mellify Q&A was something I initially had planned for your interview alone. It then became a nifty way of customising my content to each of my guests. I want to visually demonstrate the special treatment 3PP interviewees receive. It has been a great tool for promoting my site and requesting other interviews! For example, my interview with Andrew Graham-Dixon may never have occurred were it not for the effort I put into your interview Vicki! Like with all things, one success creates others! VL: Unlike some other bloggers, myself included, you do not work professionally in the creative arts field. In addition, you accept no remuneration, not even the books you review, and you are scrupulous about the nonprofit nature of your blog. Can you tell us why? HN: It is perhaps a reflection of my background as a health worker, but I make a firm distinction between doing something for the love of it, and doing it professionally. Each entails a different set of responsibilities. As much as I adore the art historians I am coming to meet on the web and in real life, I can never presume to know what it is like to do the work they do as a career. My job as a physiotherapist is very different from what I do at 3PP, and I enjoy the mental escape! Not receiving money or even allowing advertising is something I have also deliberately chosen as it will allow me to maintain a degree of neutrality, as well as adhere to fair use principles. I am aware of the difficulties faced in academia and publishing with regards to permissions. Adhering to fair use guidelines, I am unlikely to be harangued for the images and videos clips I post because I derive no commercial gain from what I do. VL: Some of your followers would argue that your blog is a work of art itself, from its lavish use of imagery to the letters and numerals that you custom design for each interview. Do you think of yourself as an artist. If not, why not? HN: I am not sure about the word artist - because I do not sell my work. 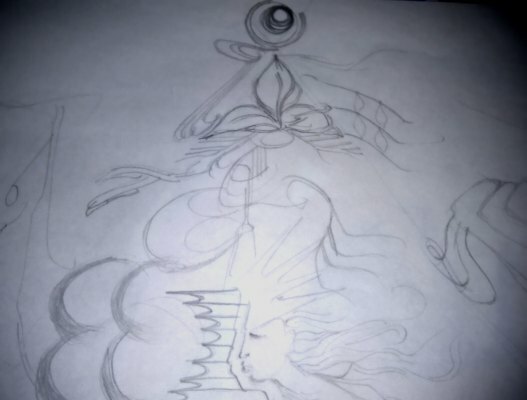 I prefer artistic! I have been aware of my artistic inclinations since a very young age, being told I drew well by art teachers and asked to do illustrations for various projects and submit works to competitions. My greatest claim to fame was a painting I entered into a high school art competition at age 15. Someone liked it so much it was stolen! It probably hung on some teenagers wall for a few months and ended up in the bin I imagine - but I was tickled by the fancy of someone liking my work that much. 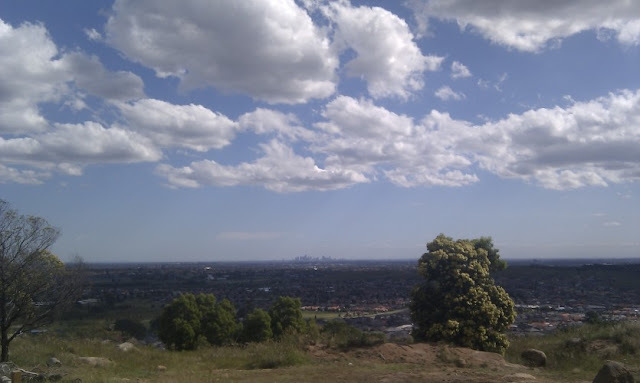 For those curious, it was a picture of woman standing on a cliff of sorts. The landscape and background was distorted, into many colours and symbols to indicate that it was a dream this woman was having. The figure was based on Chloe by Jules Lefebvre, I still have some of the preparatory sketches! VL: Your blog is making art history accessible to the layperson. Who is your principal audience, and is it the one you originally aimed at? HN: My principal audience is me! I figure if I can't get excited by what I read, what hope is there for others? I have only one rule - post what interests me - the trick is to try and convey my own excitement to my readers. From feedback I have received, I think I have achieved this to some degree. I do concede that my style is evolving, but the key is to make it accessible to everyone. I understand that not everyone likes reading slabs of text, but for me to write in an overly succinct manner will deprive me of what I feel is my voice reverberating through 3PP. The meandering, slightly verbose nature of what I write is exactly how I think about the history of art. To counter this, I have arrived at the idea of a visual format. It is quite possible to simply look at the images in my post and read the captions to capture the essence of my posts. The deeper text is always there to give you a fuller picture. If I had the coding skill, 3PP would be presented in a much more visually interactive way, but that is something for the future perhaps. I have seen a small hint this visual style at Simon Abrahams' Every Painter Paints Himself, which includes interactive animations. I also love the work of Halta Definizione - their high resolution captures are phenomenal - from Leonardo's annunciation to Giotto's Scrovegni Chapel - that type of thing should be done for every major gallery and museum! VL: In one of my recent interviews with historian and museum curator Stephanie Lile, she described the “tools of historical inquiry.” Your approach is so visually rich it makes me wonder - which comes first the image or the text? HN: I am extremely visual. I even remember facts not just as facts but as an image of writing on a page. I think this is a genetic predisposition because my younger sister reports this exact approach to learning and recall. Hence, when articles and interviews are being formed, the images are floating alongside, attached to the ideas by an imaginary paperclip. This is art... it is essentially about images at the end of the day. VL: You have quite a varied and engaged following at your blog. In your opinion, what does the future hold for the study of art and history in terms of online content? Or in terms of worldwide connections and long-distance collaborations? HN: I can see that more art and history professionals and students are developing an online presence. Blogging suites like Blogger, Wordpress and Typepad have made presenting your content extremely easy and essentially free. 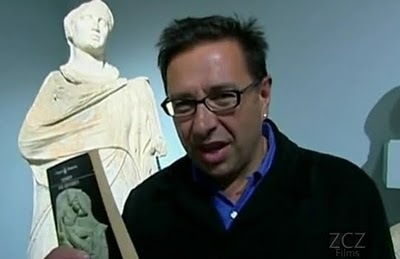 I think the history crowd has a definite advantage, they seem to be better connected than the art history community. Still, change is in the wind. The work of Alexandra Korey, Monica Bowen, David Packwood, Heather Jensen and others are making art history blogging increasingly acceptable to academia and the public. I notice that some university faculties even host their own staff blogs, such as Ben Harvey at Mississippi State University. Kudos to MSU! The University of British Columbia also have an online undergraduate journal I am very fond of. 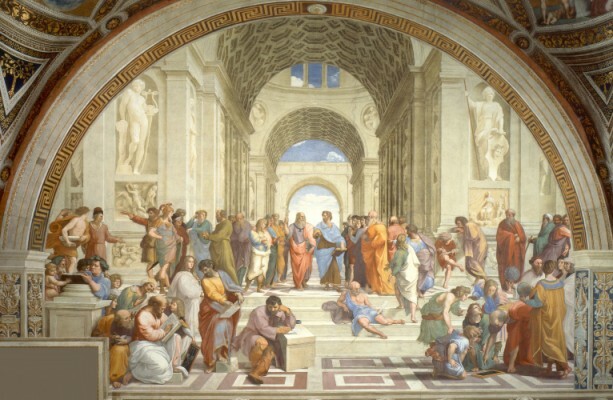 It's a fantastic, inexpensive way to globally showcase that university's art history program! That being said, I am aware of the great gulf that exists between art history and the web in a research and collaboration sense. Reading the Art History Newsletter can be somewhat demoralising at times, when I see educators post their confusion and dismay at how content delivery is changing. I often receive nightmare tales of students stuck in art history classes where the lecturer does not even use a projector or powerpoint slideshow! Thankfully, the younger breed of art history educators are not as afraid of technology. The infamous Social Media Venn diagram from despair.com. I agree with all of it - though have found twitter useful as a resource sharing medium, which I will be posting about later. I also have a special apprehension towards closed communities like facebook. Art history is already so closed off and isolated, why perpetuate this by forming another closed-off social network? I have an open and anonymous commenting system at 3PP. I'd like to point out that that thanks to this system, I had a botanical expert point me towards the truth in a Botticelli investigation, received feedback from famous classicist and Times blogger Mary Beard, and got a prescient tip about some work done to verify a recently identified Leonardo Masterpiece. Research demonstrates people who tend to find each other in social networking groups are already like minded - hence an art fan will find others interested in art - which may as well happen openly - as it does in the blogosphere. Journalists, law enforcement and military intelligence thrive due to their openness to anonymous tipsters - not requiring them to jump hoops and divulge private information as facebook etc. demands. I am more fond of twitter, as it can be used to share resources in a business like manner, which can be accessed without an account or even logging in. eg. see the 3PP twitter page. VL: Which artworks, artists and/or period in history do you most admire and why? HN: My favourite painting of all time seems to change monthly these days! That being said, the artists and periods surrounded by an element of mystique always draw me to them. Jan Van Eyck, Raphael, Giorgione, Hieronymous Bosch, Vermeer, and later artists such as Magritte and Dali swirl around in my brain constantly. As far as my own artwork is concerned, I am uncontrollably influenced by a mixture of William Blake and modern graffiti artists. I must admit however, I have a special place in my heart for everything to do with Raphael. To most of the world, Raphael is the painter of Madonnas, to me he is the perfect synthesis of art and the scientific method: Learn, emulate, surpass. 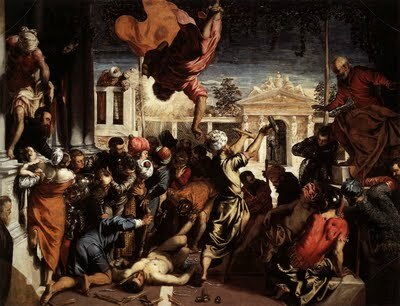 Raphael did this so wonderfully, drawing in many elements of visual tradition. It was a great shame he died so young. For Raphael to have lived as long as Michelangelo or Leonardo, I firmly believe he would have innovated beyond them. You can see glimpses of it in the School of Athens or the Vatican Loggia designs. Those two old crones would have been toast! Similar could be said for Giorgione and Caravaggio, both also passing in their thirties. VL: You’ve studied great works of art and golden ages of artistic expression, from the Fayum finds to the Renaissance, and you’ve also seen great works of art in person as well. How do you mesh the two ways of experiencing them for your audience? What do you hope they take away from it? HN: I have to admit, I am a poor ambassador to viewing works in situ. The amount of travel and expense required so you can merely gape at something is something that makes me balk at the idea of any further travel related to art. For me the intrigue is in the ideas, the history, the symbols. 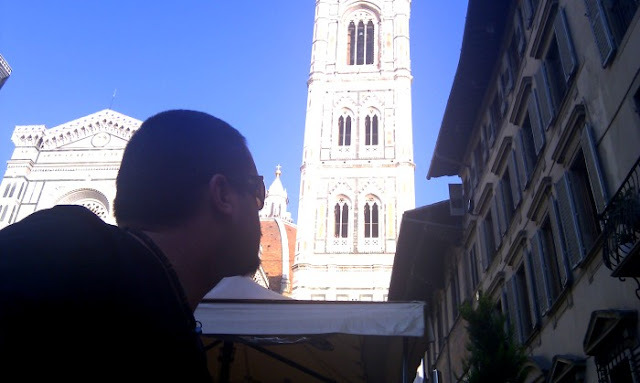 My trip to Florence convinced me more of this than anything else. I realise this is not how others view things, but simply my own take on it. I have some very futuristic notions for the display and education of art, and I can only hope that as technology adapts, this will filter into our experience of art as well. Tech such as augmented reality is already being employed by some museums. Installations such as those by director Peter Greenaway also allow an art experience that is portable and reproducible in many different locations at once, rather than just one work stuck on a wall behind a glass in sweaty, centuries old office complex! In 500 years time, I envisage most of what is on the walls now will be packed away for preservation, and we will have internationally accessible ultra realistic 3D fascimiles. I know that sounds a bit sci-fi, but so would cell-phones to the average Renaissance person. Paint is not a durable medium - look at the painters from antiquity, whose work is all but lost save for a few glimpses. I'm pleased the digital artists that are gaining prominence now won't be plagued by this physical deterioration factor. As for the take home message... I hope my content can lead to a new experience or deeper interest on a particular topic. I'd love 3PP to be someone else's gaudy Mona Lisa phone! Thanks for letting us see inside the real HN. I love what you're saying about Raphael and science, and thanks for the links to the virtual Scrovegni Chapel too. Can they do that for Poussin's Sacraments? The resolution is brilliant. Thanks for the plug too. What a great interview! I'm glad that Vicki sent you these interview questions. I especially loved reading about your stolen painting - what an honor! :) Little did I know that you have been personally affected by the art crime scene! I understand what you mean about relating to the symbols and ideas behind art (instead of balking at the actual work in person). Honestly, I think a majority of scholars can relate to your perspective, since not everyone gets the chance to see the original work of art. Instead, most people become intrigued by art by looking at slides or reproductions (and simultaneously learning about the ideas and symbols). I have had very meaningful and enriching experiences with art that I have not seen in person; a lot of these experiences have to do with how I understand and relate to the message and ideas behind the work. Congrats on a great interview. I only wish tthat H had gotten a chance to see the Raphael Stanza in Rome on your recent trip. There is another alternative to seeing a painting in a museum, and that is seeing it in the place it was originally meant to be. Good luck. We need you. @Frank - I would probably brave returning to Rome to see Raphael's efforts one day, but right now, would prefer that a group like Halta Definizione give the Loggia their Hi-Res treatment link the Scrovegni Chapel linked above. Great interview, guys! Hasan I really enjoyed learning more about your background and how you began your brilliant artistic numbering, which kind of has become your trademark! Also really enjoyed knowing that you were an artist (still are, except digitally now, right?). It kind of explains your deep commitment to art history. This is a wonderful site and now we know why! Hi Vicky! Thank you for your wonderful comments :) That's right - I am almost exclusively digital now in my artistic dabbling. Digital paint is just easier to use, and doesn't clutter your place with canvases and associated paraphernalia! I would like to dedicate more time to it - but am a bit too busy at the moment. All in good time! Cheers Vicki! Glad you enjoyed the answers. I have been receiving some amazing, and quite amusing feedback! My favourite has to be a comment from a younger reader - saying he pictured me wearing a beret, because that was his image of a man interested in art! Really enjoyed finding out more about the mysterious and marvelous person behind 3PP. The interest in numbers / counting reminds me a bit of Peter Greenaway. Thanks for the shout-out, and I love the fact that MSU has (largely inadvertently) launched me into the protean world of the art history blog. Keep up the good work, H! Cheers Ben! I do share Greenaway's fascination with letters and numbers. I'm pretty sure "A Zed and Two Noughts" was how I was first introduced to Vermeer. It's interesting how a series of small actions leads to to something larger. I daresay there was one bright, visionary individual at MSU who pushed for staff to have their own webspace, and look at the international connections it has allowed you to make! This was a true joy to read! I think that physical copies have something going for them, though. They can be easily damaged, true, but files can just as easily be corrupted and... who knows what technology or lack thereof tomorrow brings?